Eczema is more than a superficial skin condition. It is an autoimmune condition that can be caused by our genetics, our diet, or toxins from both our diet and the environment. Creams and lotions that improve symptoms do not necessarily cure the disease so, although they definitely have their place in a successful treatment plan, it is also necessary to look at what might be compromising the immune system, and to improve diet and detoxification. This can be a lengthy process but there are things that can be done to help alleviate symptoms relatively quickly. For the rash itself. Skin Salvationis very popular for small areas of skin as it contains a therapetic blend of calendula and chickweed. 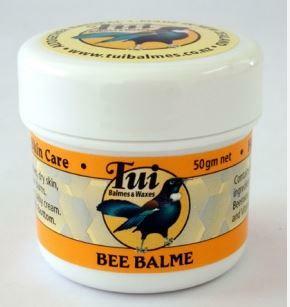 Likewise, Bee Balme can be incredibly soothing due to its Bee Propolis, Beeswax and Vitamin E content. It is definitely best to avoid high street toiletries and detergents as many chemical preservatives and perfumes (even in those labelled ‘organic’) can aggravate eczema. We would recommend washing with natural soaps like Castile Soap, then following up with a natural or organic moisturiser to help soothe and soften the skin, and reduce inflammation. However, if your skin is severely inflamed or infected, it could react to almost anything new, and you may want to start with something really basic and pure like Shea butter or Coconut oil. To further soothe and moisturise you can add Pure Potions Bath Oilto your bath, or add 5 tablespoons organic oats (preferably in a muslin bag) to the bath water. Natural washing up and laundry liquids are preferable as well. Wash and dryer balls are also a good alternative. Because the immune system is involved, individuals with eczema often have food intolerances, sensitivities or allergies – commonly to milk or wheat – though potentially to a whole variety of things such as dust mites, pollen, cats and dogs. It is important to identify what triggers an allergic reaction in the individual and, at the same time, to build up the immune system. Healthy gut bacteria are strongly linked to the correct functioning of the immune system. Clinical studies have demonstrated the importance of probiotic supplements to eczema sufferers. Not only do probiotics (like Pro-otic) increase the numbers of these good bacteria, they also strengthen the immune system in a number of complex ways, as well as help to maintain the gut barrier. When this gut barrier is leaky, the blood tends to become full of toxins and the body also loses (and becomes deficient in) essential nutrients before they have been digested. One such nutrient which people with eczema have been scientifically shown to be deficient in is omega 3 fatty acids..
Probiotics have also been extensively researched. One study suggested that babies at high risk of allergic disorders such as eczema have different types and numbers of bacteria in their digestive tracts than other babies, and that probiotic supplements taken by pregnant women and children may actually reduce the occurrence of childhood eczema. Another large, long-term study looked at whether the use of a probiotic supplement could influence infantile eczema. Over a thousand pregnant women carrying high-risk babies took a probiotic supplement or a placebo for 2 to 4 weeks before delivery. The newborns then took the same probiotics along with galacto-oligosaccharides (shown to help multiple strains of beneficial bacteria flourish) for 6 months. After 2 years, the probiotics were significantly more effective than placebo at preventing eczema. Supplementing with Probiotics, and Omega 3 ), whilst switching to natural or organic products – and especially those designed to tackle eczema – could make all the difference. Eczema is not just skin deep.